T he oldest known church in the world is Dura-Europos house church. It is not known in which year this large apartment house was turned into a church but it definitely happened soon after AD 233. Early Christians became a persecuted group of people during the first centuries of the Common Era. At some time Christians were allowed to perform some of their rites in synagogues but soon they were expelled. Nevertheless, active religious practice requires joint activities: people need and love to come together, they need a place to teach the religion, to admit new members in faith. After all, this is a tradition set by Jesus Christ himself: he gathered his disciples in the “Upper Room” – the Cenacle in Jerusalem. Early Christians had lots of things in common – the persecution and common knowledge of the new religion turned the communities of Early Christians into a kind of large families. Thus early Christians in the 3rd century started to gather in larger houses of somewhat more affluent members of parishes. In some places they changed the houses – one time met in one and next time in another one. And in some places, some houses were just better suited and gradually were adjusted for religious practice. Of course, in most cases, such gatherings took place secretly. These were the first churches in the world and these house churches appeared in the ancient cities of the Roman Empire around the 3rd century – early 4th century. 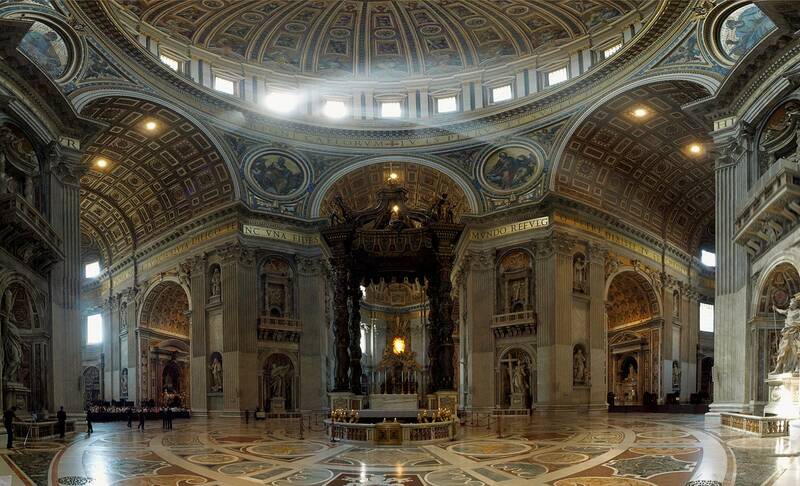 In 313 AD the Roman Emperor Constantine granted full religious tolerance to Christianity and other religions – and since then the construction of dedicated church buildings started. Nevertheless, the tradition of house churches continued throughout the centuries up to the modern times – either due to the persecutions of just to be closer to the original idea of Christianity. The history of Dura-Europos though starts long before this church. At first, in 303 BC this was a fortress built by Seleucids some decades after the death of Alexander the Great. These Macedonians (and, most likely, people of some other nationalities as well) selected a place in an impressive location: on a 90 m tall precipice over Euphrates River. This fort protected the crossroads of important trade routes. “Dura” is an Assyrian term for a fortified city and “Europos” means that this place was ruled by the Europeans – Macedonians. In the 2nd century BC, there was developed a well-planned city with a rectangular network of streets and Dura-Europos became an important regional center. 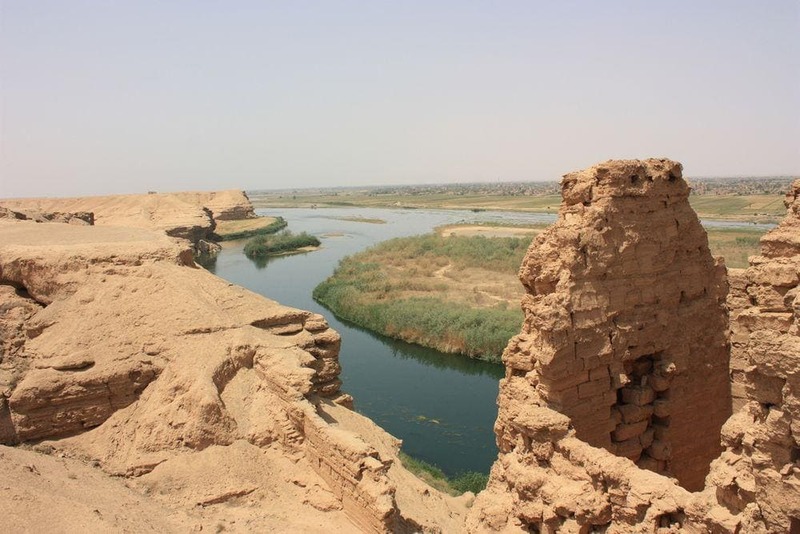 Later it was conquered by Parthians until 165 AD when Dura-Europos became a Roman city. Dura-Europos was a multiethnic city with its own distinct style in architecture, but gradually its Greek spirit was replaced by eastern people and traditions. 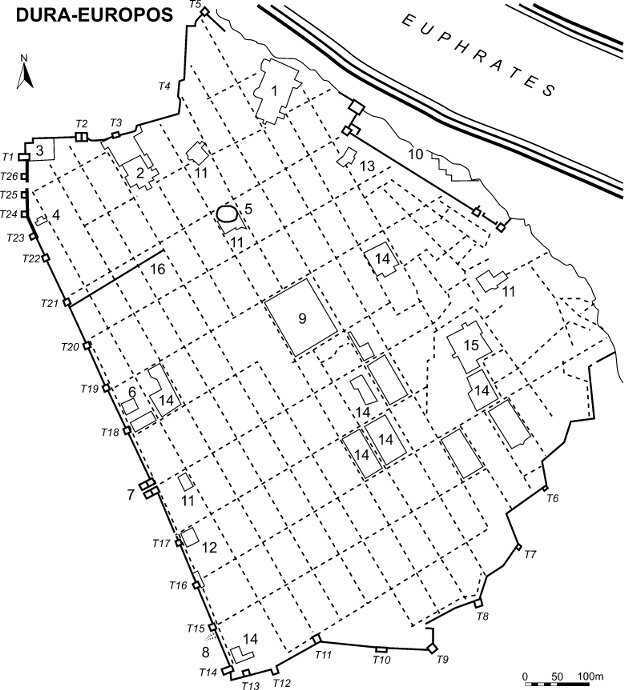 The diversity of shrines in the city during the 3rd century AD is astounding – there is a synagogue, shrine to Mythra, shrines to Aphlad, to Azzanathkôna. The city was quite rich and it shows in the abundance of the works of art in the shrines. Here lived up to 5000 people. Sometimes around 233 AD or a little later one of the numerous houses inside the city walls was converted into a church. This house was located in the south-western part of the city near the city wall. From the outside, this house, most likely, retained its former looks and seemed to be just a common living house. But inside this was a true shrine. There was an inner courtyard with church premises around it. The largest room was a room for gatherings. It was made by demolishing the wall between two smaller rooms. In the far end of the courtyard was one more space for teachings. And then there was one more room – small baptistry: the most interesting room of all because it was adorned with frescoes. Frescoes in baptistry belong to the earliest Christian paintings in the world – these paintings are just a few decades younger than the Christian paintings in Roman catacombs. Frescoes follow the Hellenistic Jewish iconographic tradition – an artistic style common in Jewish inhabited towns of Near East in these times. The “Healing of the paralytic” – here Jesus Christ is shown with a short hair and he is cleanly shaven. His cloak also is short – after all, Jesus was a modest man and definitely did not wear long pallium as shown in later imagery. 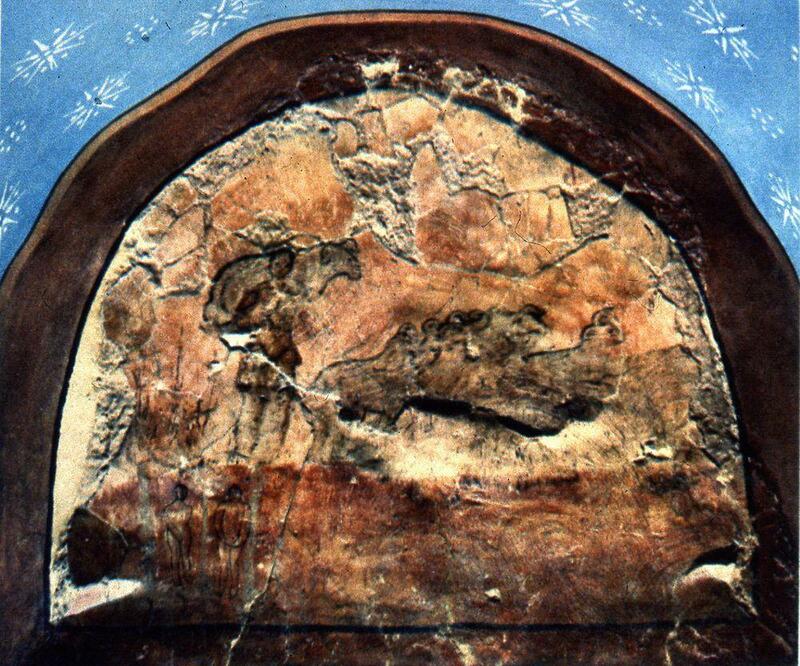 This could be the earliest known depiction of Christ, although some earlier images in Roman catacombs also show a man which is meant to be Jesus. 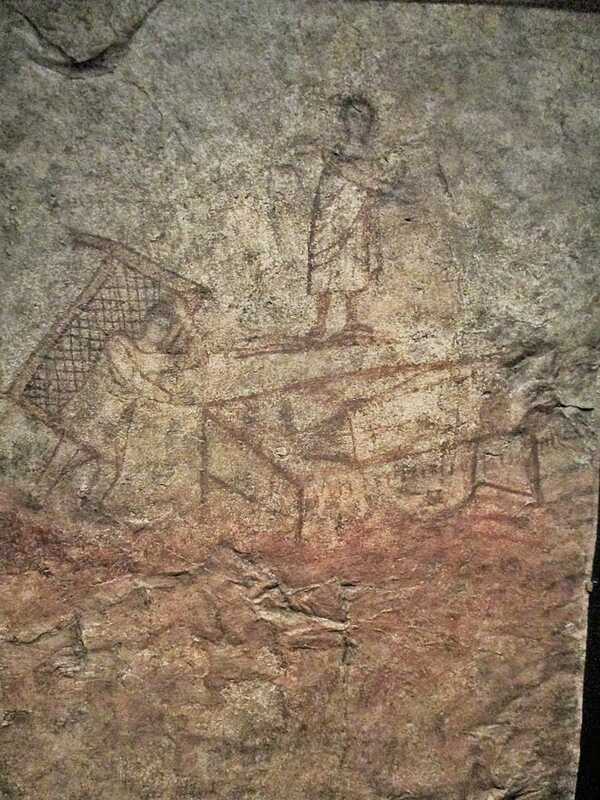 The “Good Shepherd” – one of the first images of Jesus Christ as the shepherd, as mentioned in the Bible. “Christ and Peter walking on the water”. The largest fresco shows two women approaching a large sarcophagus – possibly the Three Marys at Christ’s tomb – supposedly, Mary Magdalene, possible sister of Jesus mother Mary of Clopas and Mary Salome – one of the followers of Jesus. The image of the third women is lost now. Adam and Eve were added near the Good Shepherd a little later. The Samaritan women at the well. Persians (Sassanids) attacked Dura-Europos and around 256 AD they managed to take the city. The resistance was fierce. Persians were good at tunneling under the city walls and desperate fights took place in these tunnels as well. There were used even poisonous gases. In order to prevent the easy tunneling under the walls, Roman defenders filled the houses near the walls with rubble and splinters. Such was the fate of the house church and also the nearby synagogue and some more valuable monuments of history. When Persians took the city, they expelled the survivors and the city was abandoned. Thus the home church with its frescoes was silently waiting for its discoverer throughout the centuries. 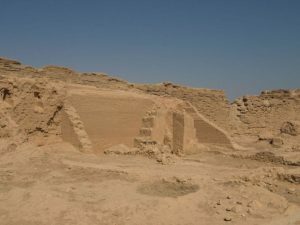 Dura-Europos was rediscovered in 1885 and here took place extensive excavations in the 1920ies and 1930ies by French and American archaeologists (led by Michael Rostovtzeff, Yale University). Archaeologists were truly excited about rich finds in this surprisingly well-preserved city. There were even found parchment scrolls with Hebrew texts deciphered as Christian Eucharistic prayers, as well as remnants of a text of unknown Greek gospel harmony in the city dump. Much worse times came in the early 21st century. After the occupation by ISIS Dura-Europos suffered from massive looting in 2011 – 2014. Most likely, extensive damage was done also to the house church. Luckily, the invaluable frescoes were removed and are stored at the Yale University Art Gallery, United States. Church House at Dura-Europos, The Byzantine Legacy. Site last visited on 26th January 2018. Syria: damages to the Dura-Europos house church, Vatican Insider. Site last visited on 26th January 2018. The sands in Syria most likely hide many secrets which one day will tell how the civilization started on Earth. Throughout many millenia in this country appeared and disappeared many cities, some persist up to this day, some are in ruins but many are covered with sand. 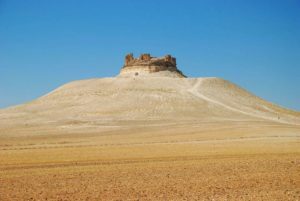 Here are found some of the oldest fortifications, palaces, castles and some of the oldest Christian churches. Michael Peppard provides a historical and theological reassessment of the oldest Christian building ever discovered, the third-century house-church at Dura-Europos. Contrary to commonly held assumptions about Christian initiation, Peppard contends that rituals here did not primarily embody notions of death and resurrection. Rather, he portrays the motifs of the church’s wall paintings as those of empowerment, healing, marriage, and incarnation, while boldly reidentifying the figure of a woman formerly believed to be a repentant sinner as the Virgin Mary. This richly illustrated volume is a breakthrough work that enhances our understanding of early Christianity at the nexus of Bible, art, and ritual. 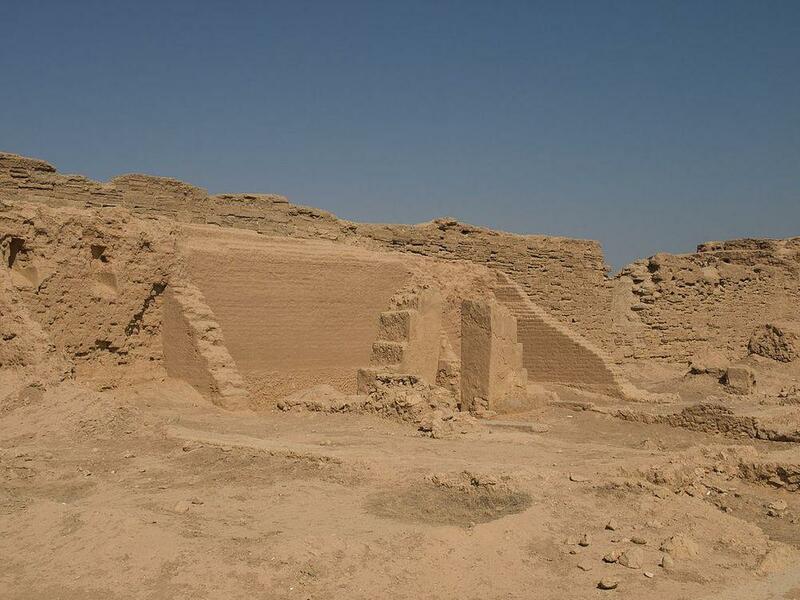 Strategically located high above the Euphrates River between Syria and Mesopotamia, the city of Dura-Europos was founded around 300 BCE by one of the Macedonian generals who succeeded Alexander the Great. Within a century, the Near Eastern Parthians overtook and controlled the city until the Roman emperor Lucius Verus captured it in 164 CE. Dura-Europos then thrived as a critical stronghold along the Roman imperial frontier until 256 CE, when the Sasanian Persians destroyed it.